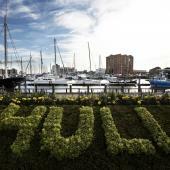 Welcome to Cruise Hull Yorkshire – development of Yorkshire’s first dedicated cruise terminal. Hull has assembled a team of experts in the field of design, engineering and development. The team has extensive experience in management of the cruise industry and destinations. We have a clear goal in mind: the development of a new terminal of true quality, where the passenger comes first. We will develop Hull and the Yorkshire region into a leading regional cruise hub through the development of a world-class cruise terminal with facilities which are user-friendly, and which provide efficient and quality services. The terminal and infrastructure will be located at Sammy’s Point in the centre of Hull’s historic Old Town and on the doorstep of the scheduled monument of the 16th Century blockhouse commissioned by Henry VIII. This terminal will be in the heart of the city’s creative centre, directly connected to cycling routes and of major interest to those interested in heritage and in exploring the story of Viking Britain. We will bring more detail of our development as it progresses. 4. 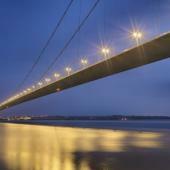 The Humber Bridge in Hull is the longest single-span suspension bridge in the UK, second longest in Europe and the fifth longest in the world. 5. Yorkshire has over 2,600 ancient monuments of national importance (14% of England’s total). 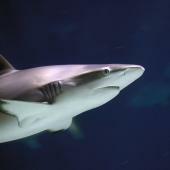 Hull’s award-winning aquarium is home to over 3500 aquatic species, sharks, stunning marine life and plenty of activities for all the family . Situated just a 5 minute walk from the new terminal and Hull Marina and a short stroll to the City Centre, The Deep is in the perfect location for visitors to enjoy the City of Hull and all it has to offer. 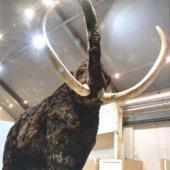 Journey back 235 million years in Museums Quarter in Hull's Old Town to encounter sea monsters, Romans and a life-sized woolly mammoth at the Hull and East Riding Museum of Archaeology. Streetlife Museum of Transport brings history to life with all the sights, sounds and smells of the past. Visit the birthplace of William Wilberforce and find out about the transatlantic slave trade in Wilberforce House, home of one of Hull's most famous Sons, and learn more about his work in the abolition of slavery. Discover a mysterious crew of wooden warriors, an Iron Age Village and our horde of Viking treasure at the Hull & East Riding Museum. Hull is renowned for its maritime history and you can learn about the city's links with the sea at Hull's Maritime Museum. All museum and gallery entry is free. A magnificent collection of paintings and sculptures, including works by European Old Masters, portraiture, marine painting, and modern and contemporary British art. Highlights include masterpieces by Lorenzetti, Frans Hals, Antonio Canaletto, Frederick Leighton, Stanley Spencer, David Hockney, Helen Chadwick and Gillian Wearing. 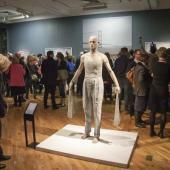 With a regular programme of events, guided tours and changing exhibitions, there’s always something new to explore. East Yorkshire's finest historic day out. 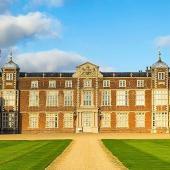 This fascinating Elizabethan gem, home to the Constable family for over 700 years, nestles in over 300 acres of natural parkland and offers visitors unrivalled access to 30 rooms of faded splendour filled with fine furniture, paintings and sculpture. The historic parkland was designed by 'Capability' Brown. 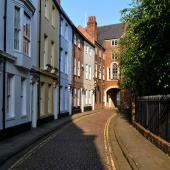 Take a step back in time and head for Hull's captivating Old Town often used as a film & TV location. Medieval streets lined with Georgian buildings, historic pubs around every corner and the wonderful Hull Minster at its heart. Walking trails available. Charming streets and courtyards continue to attract history buffs, music lovers, racegoers and shoppers alike. Landmarks include the gothic Beverley Minster and the 15th century North Bar which divides impressive Georgian streets containing a great number of listed buildings. Upmarket shopping and traditional Saturday market. 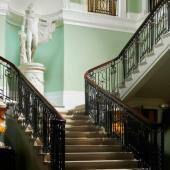 Famous racecourse, quirky cafes, acclaimed restaurants and historic pubs. 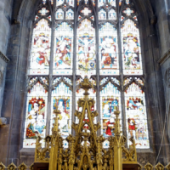 There is something about the charm of Sledmere which has captivated visitors for over 200 years. Jealously guarded, but hard not to share, the atmosphere is informal, the landscape breathtaking and the welcome warm and friendly. The old Fruit Market has reinvented itself. Warehouses have been transformed into a home for creative spaces, galleries, breweries. Contemporary art at the Humber Street Gallery (free). Cafe life at the picturesque marina. A traditional British seaside town with award-winning beaches, outstanding facilities, rich history, unique character and stunning scenery. From an Old Town packed with character to Sewerby Hall and Gardens' and breathtaking views of Bridlington Bay. 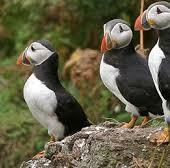 RSPB Bempton is the best place in England to see seabirds.